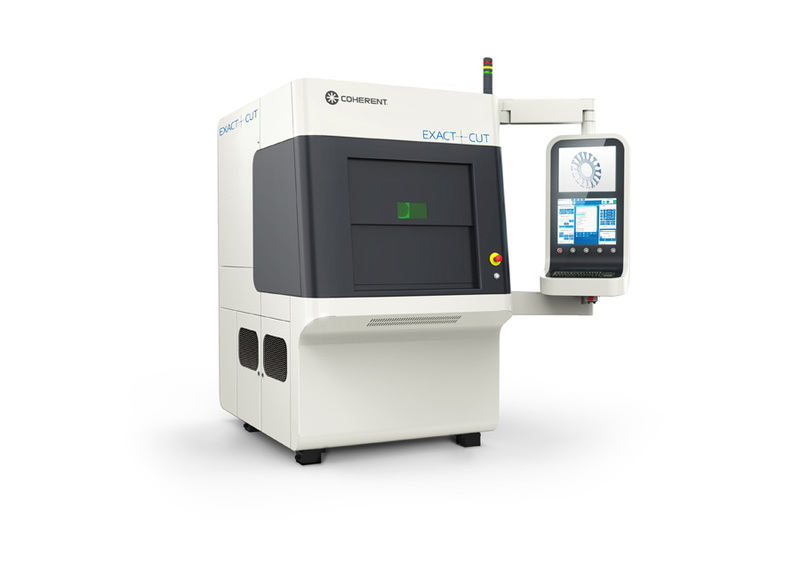 Coherent Inc.’s ExactSeries of fine materials processing equipment includes ExactCut micromachining systems for cutting. To reduce integration and qualification time, ExactCut ships with pre-programmed process parameters for the desired application and offers high flexibility for multi-purpose job shops. ExactCut systems combine the latest generation of pulsed fiber laser sources (3-kW pulse peak), a high stability granite motion module and a sophisticated human interface. The intelligent and intuitive software simplifies the entry of parameter and process recipes; this is particularly suitable for short or prototype production runs and rapid changeovers.